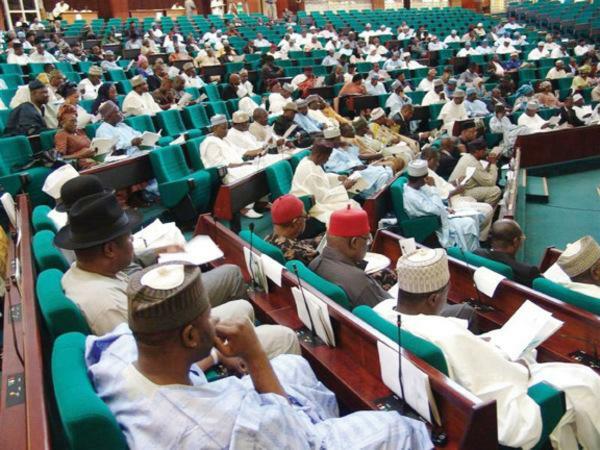 Members of the ad hoc committee of the House chaired by a member of the All Progressives Congress from Kano State, Mr.
Abubakar Danburam-Nuhu has made a stunning discovery about TSA. The House of Representatives on Tuesday raised questions over a “purported” presidential approval withholding some special Nigerian National Petroleum Corporation accounts from being transferred to the Treasury Single Account with funds worth N50billion. According to the report by Punch, the account is still being kept by commercial banks in breach of the TSA policy, which provides that all accounts belonging to Ministries, Departments and Agencies of government should be transferred to the TSA. The TSA, a centralised Federal Government revenue account, is kept by the Central Bank of Nigeria. A Nigerian firm, SystemSpecs, provides the Remita electronic platform for running the TSA, saving the Federal Government revenue that could, ordinarily, have been lost. The discovery was made by the ad hoc committee of the House chaired by a member of the All Progressives Congress from Kano State, Mr. Abubakar Danburam-Nuhu. It was gathered that the directive was given by NNPC to some commercial banks to still keep the accounts outside the TSA. The CBN confirmed to the committee that it was aware of the excluded accounts, pointing to a document tendered by the NNPC saying that there was a presidential approval. The said approval was a memo written by the Chief Staff to the President, Mr. Abba Kyari, authorising the NNPC to exclude the accounts from the TSA However, Danburam-Nuhu expressed shock over the development. He stated: “Banks are still holding accounts with funds up to N50bn outside the TSA. “The banks claim that there is an approval by the President for the accounts to operate outside the TSA. A senior official of the CBN, Mr. Dipo Fatokun, confirmed to the committee that the NNPC indeed wrote to inform the apex bank of the exemptions. However, Fatokun specifically mentioned accounts relating to Joint Ventures operations as the NNPC accounts covered by the exemptions. “The banks are actually holding some accounts. We are aware. It’s not yet a case of 100 percent transfers to the TSA,” Fatokun explained. He also informed the committee that some accounts still being kept by the banks had legal limitations, while others were accounts owned by the Judiciary and the National Assembly. “We are compiling a report on each of the banks and it will be ready soon,” Fatokun told the lawmakers. Pwajok added that in the circumstances, the proper thing to do was to summon Kyari to convince the committee that Buhari indeed granted the exemptions. “Let him come here to show us the evidence of the directive given to him by Mr. President,” Pwajok said. Another member, Mr. Simon Arabo, noted that Kyari’s memo appeared to be an “Executive Order,” which had to be further examined by the committee. The committee made two rulings. The Group Managing Director of the NNPC, Mr. Maikanti Baru, was summoned to produce the presidential approval within 48 hours. It also directed the CBN to submit a reconciliation report on the accounts still kept by commercial banks before the end of this month. The committee commended SystemSpecs for the efficiency of its operations and urged the government to pay for its services. Danburam-Nuhu stated, “SystemSpecs is being owed money for services it rendered to the country over a period of time. The company should be encouraged. “If a local firm has performed this well, why owe them money?